This week we are in New Zealand, where land surveyor Guillaume Clin tells us about a model he made that captures the spirit of renewal in Christchurch after the 2010 earthquakes. My moniker is a typical French name: Guillaume Clin. While I call France home, for the past four years I’ve made a life by surveying across the globe in the Netherlands, the United Kingdom and currently in New Zealand. I’ve always been passionate about new technology in and outside of my job. I wouldn’t call myself an artist; I haven’t molded clay with my hands or thrown paint on a canvas. 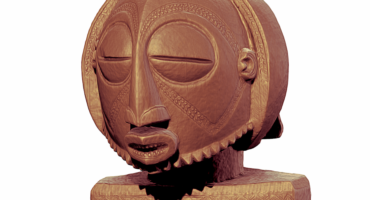 Perhaps you could call me a 21st century artist, one who replicates artworks as a virtual 3D model through technology. As a land surveyor, I am often asked to recreate the tactile into a virtual world for designers, but these methods using the Leica P30 laser scanner are quite costly, although very effective. Due to my love for 3D models, I wanted to find a method that could be done without high cost and expensive equipment, and I found one by using my GoPro and Olympus Stylus camera to create a finished product. Using GoPro I was able to create a timelapse while moving around a specific object. In addition, my Olympus Stylus allowed me to zoom in on intricate details. 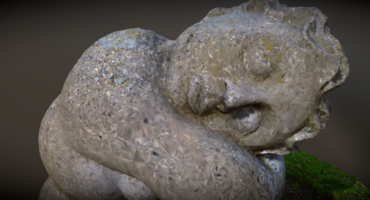 This technique required understanding of photogrammetry to transform 2D images into a 3D model. I learned this technique in France while studying at ENSG (École Nationale des Science Geographique) and furthered my development by watching Webinars. At the beginning, the model Tranquility was only a test. I spoke with a friend and talented photographer Constanza Flores, and we wanted to give our best shot at 3D models. We went around Christchurch to find a model and took a few pictures. I processed the sculpture using the Recap program and just like magic, the model was created overnight. In the past I had attempted to make a few models using default systems, but I was pleased with the quality and detail from the final model when using Recap. I wanted to share the image and the success with the program, so I perused a few different sites and found Sketchfab to be the best option. I decided to start uploading the model, but I ran into some difficulties when the size of the file was bigger than the free version allowed. So unfortunately I had to reduce the size and sacrifice a bit of the resolution but I was still very happy to share it as it was. I am currently using the pro version of Sketchfab, so hopefully I’ve resolved any resolution issues. The reason I chose to start replicating items across Christchurch was due to the massive earthquakes in 2010. After the destruction caused by the earthquakes, people started to create projects to make life a bit better while the rebuild was happening. The original artist of Tranquility was Llew Summers, and I believe his sculptures have helped give happiness to a broken city. I hope you will enjoy the model and hopefully you start following me. The more followers I gain, the more motivation I will have to work with the heritage in Christchurch. To see more of Guillaume’s models here on Sketchfab, check out his profile!